In past experiences, SAP has taken a hard line on the notification date and customers need to immediately take action should they wish to have the maximum support options available to them. 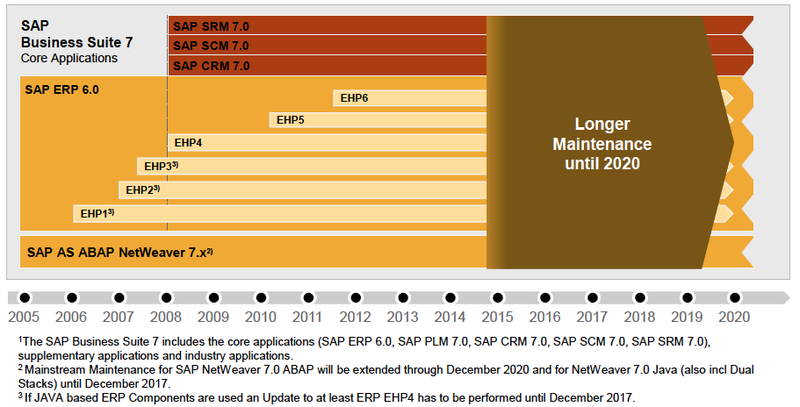 To be clear, those on SAP’s Business Suite 7 have a longer maintenance support window (see Figure 2.) Those products will be supported with mainstream maintenance until 2020. 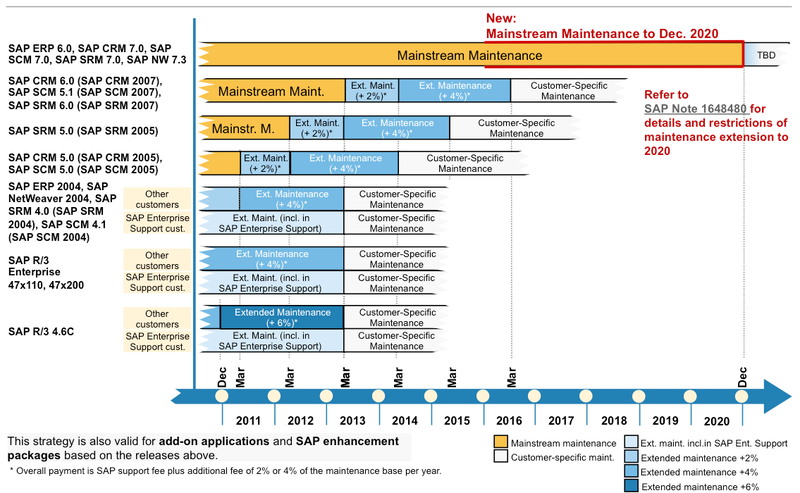 The benefits of the increase in support fees for most customers do not justify the benefits delivered by SAP maintenance. Explore third party maintenance. Filing notice allows organizations to consider and evaluate third party maintenance providers. Arrange for a meeting or appointment right away to assess your current scenario. See how vendors are providing tax and regulatory updates and improving the operational efficiency of legacy applications. Improve negotiating leverage for 2013 maintenance contracts. Use the third party maintenance option discussion to create leverage in contract negotiations. Take the time to negotiate credits for shelfware, park licenses, or plan upgrade paths. Avoid bundling of contracts. Keep existing contracts separate. Resist the temptation to consolidate contracts. Consolidation means you can’t renegotiate licenses in increments. Consolidation also eliminates options to sell your used SAP software in europe for credit. Stop playing contract support window games. Most customers face endless negotiation cycles that just pushes the issue into the future. Every day a company is not on third party maintenance, is money wasted for stable products. Need help with your SAP software contract? Contact us throughout the vendor selection process. We can help with a quick contract review or even the complete vendor selection. We provide fix-fee and gain sharing arrangements. We can also help you with your third party maintenance provider evaluation. Scavo, Frank & Wang, R. “Big Idea: Constellation’s Business Value Framework” Constellation Research, Inc. January 31, 2012.